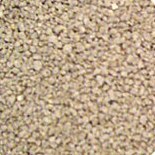 Natural Cat Litter or 'Organic' Cat Litter was developed by manufacturers as an alternative to clay-types that contain silica and bentonite. There is a global trend towards using products that are manufactured from renewable resources and products that are kind to the environment, animals and humans. These natural cat box fillers have taken the market by storm and there are a wide range of cat products available. 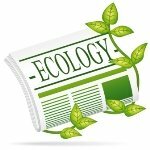 We have categorized the litter into paper, wood and plant types. This product is made from recycled newspaper. 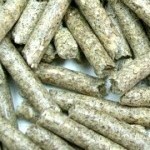 The litter is available as loose, fluffy litter or compressed pellets. Manufactured from pine or cedar wood. 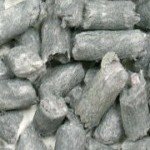 Available as either wood shavings or compressed pellets. Pine cat litter brands may contain aromatic chemicals and resins that can cause respiratory problems and allergies in both humans and cats. 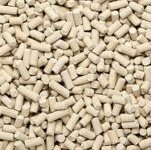 There are a wide range of plant-based litters - corn cob, peanut hull, citrus peel, wheat by-products, oat hulls, beet pulp and straw. If you decide to use natural litters, you do need to keep in mind that the entire tray needs to be changed every 2 - 3 days. If you are meticulous about your daily scooping routine, you may be able to extend it to a week. Visit this resource for an evaluation on cat litter and information about cat litter brands.